Anyone and everyone who feels empowered and comfortable with being able to access files, lists, media or collaborate using ALL their computing devices may need Web Apps (applications hosted on the world wide web). Some web apps provide faster execution capabilities for rendering details than using the bandwidth of the device’s network connection. From busy professionals to elementary students, people are taking advantage of having access and being able to sync between their computers, tablets, and smart phones. 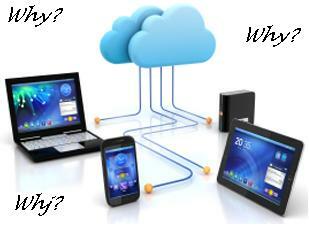 Why would a Small Business Owner or Organization Leader Need Web Apps? To capture data from tables anywhere on the world wide web and fuse into your database. And, there is much more you can do using inexpensive web enabled applications. For a Free consulting session on how to use Web Apps for your organization or small business; contact User*Friendly Systems Consulting & Management for a recommendation on how to harness the power of Web Apps for your group.